What is a “Flipped” Class? 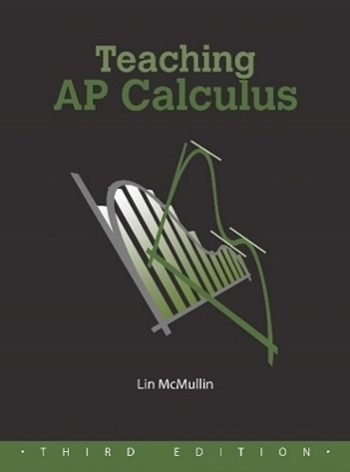 I started teaching AP Calculus in 2010 after 8 years of teaching regular level math classes. During my second year teaching, our school went to an integrated math curriculum (IMP) for our regular math classes. The classes were discovery-based and very interactive and I loved teaching them. (Why we never used this for our advanced classes, I will never know.) I was one of two teachers that taught primarily IMP classes and we both had a lot of success with our students, both on local and state assessments. When our AP Calculus teacher changed positions, I was asked to teach the class. I teach at the same high school that I attended and my AP Calculus teacher was very popular and had a reputation as being a great teacher. I got a five on the AP exam when I was in his class, so I figured I would model my class after what he did: homework questions, lecture, examples, practice, homework, repeat. Within a couple of weeks I realized some things. First, I hated lecturing. Second, I wasn’t getting to know the kids at all, being that I was in the front of the room the whole time. My biggest problem, though, was that I was spending about half of each class going over homework problems. Almost every student was doing the homework and asking legitimate questions about it, but most of the questions had simple solutions. They messed up a sign, or a distribution, or some other arithmetic/algebraic concept that caused them to get the calculus question wrong. This gave them a negative attitude towards calculus, which they didn’t deserve. I thought that if they could get help along the way to avoid these types of mistakes, they would enjoy and appreciate calculus more. I decided to let them watch videos of the concepts at home and do problems in class. During the summer that I thought of this, I found a lot of information on people already doing this and calling it a “flipped” classroom. I decided that I was going to try it during the next school year. Even though I was hell-bent on trying the flipped class out, I wasn’t sure how to do it. I teach in a Title 1 district where many students don’t have access to computers/internet at home. (This has improved drastically, but wasn’t great when I started). Also, no one had ever tried this at my school and I wasn’t sure what kind of support I would receive from administration. I had other ideas for improving my classes, especially AP Calculus, so I decided to try them first. I had some success with these changes, but I still wasn’t convinced I was getting the most out of my time with the students, so I decided to give flipping a try. I started by watching videos in class with the students. I would project the video and have the students take notes, then do a mini-lesson afterwards highlighting and adding what I thought was necessary. I continued this for a chapter. The students seemed to like it, so I took it a step further and assigned videos for homework for the next chapter. I would post the videos on my website and e-mail the links to the students for them to watch at home. Students who didn’t have access would watch on my computer at the beginning of class each day. We then did problem sets in class and students helped each other and used me if they couldn’t figure something out themselves. I was extremely happy with the results (just intuitive, but I knew I was on to something), so I went to my principal and guidance supervisor to request that I run my class like this permanently. Neither of them had heard of flipping, but once I explained what I wanted to do, they were both all for it. From some of the stories I have heard from colleagues in other schools and on social media, administrators can really ruin a school. I am in the exact opposite situation. My principal lets us try pretty much anything we think will help the students. Once I had her blessing, I ran with it and never looked back. I have seen a marked improvement in AP exam scores since I started flipping. I think there are several reasons for this improvement. Since flipping my class, I am able to cover way more material in class. On top of covering more material, I am able to cover that material at a deeper level. I have time for explorations, discovery, and quality student discussions in class, where I never had much time for that before because I was always rushing to get through the curriculum and answer students’ homework questions. The one benefit that a flipped classroom gives me that I don’t know how else to get is the interaction with my students. I get to circulate and talk to every one of my students every day while they are doing math. I get to talk to them about their thought process with the math they are doing and about other things going on in their lives. I really get to know my students over the course of a semester and that helps me help them. I don’t know how else you can develop relationships with 50-75 kids seeing them for 85 minutes a day for 90 days (or whatever schedule your high school is on). These relationships are the biggest benefit of a flipped classroom. The students and I get to know and care about each other, which gives us extra motivation to work hard for each other. I have been able to do a flipped classroom for AP Stats, but not yet in AP Calc. The problem I keep running into is the students who won’t watch the video. Lack of computers or Internet is not an issue for my students. How did you tackle this? Bobby Barber address this in some detail in the second part of his article that will be posted next Wednesday July 1.